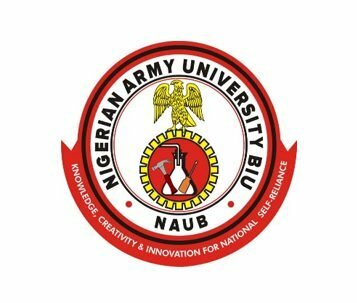 Nigerian Army University Biu's [NAUB] Maiden Edition New Matriculation Ceremony Date, Time and Venue, Academic Gown Payment and Collection Procedures for Freshmen 2018/2019 Academic Session. This is to inform all fresh/newly admitted students of the first matriculation ceremony schedule for 2018/2019 academic session has been released. Date: Thursday 21st of February 2019. Venue: NAUB Annex Complex Football Field. Consequently, the Matriculation rehearsal will hold on Wednesday 20th February 2019 at the same venue and time. All Undergraduate Students are expected to be seated by 8.00 am. In view of the above, all Matriculating students are hereby requested to come and collect the Matriculation Gown from Academic Affair Division on Tuesday 19th February 2019 and there will be payment of N500 Naira only at the point of the collection. All Academic Gowns must be returned to the same after use on or before Friday 22nd February 2019. Failure to comply will attract more charges and disciplinary measure. This is for your information and compliance.